My first vacation on Mallorca – and, in fact, outside Britain – was a package holiday in the resort of Puerto Pollensa. My best friend and I came on a cheap deal in our late teens and stayed in the Pollensa Park. The hotel is still there (now part of Fergus Hotels group), but I’ve never stayed again – although The Boss and I enjoy visiting the resort at any time of year. Smaller, boutique hotels are now my (and The Boss’s) accommodation of choice, so I was interested to see that the owners of Restaurante Stay (which stays open all year) are refurbishing their old hotel on the seafront, which was first built 50 years ago. La Goleta Hotel de Mar will reopen as a 4-star adults-only boutique hotel in time for this summer. 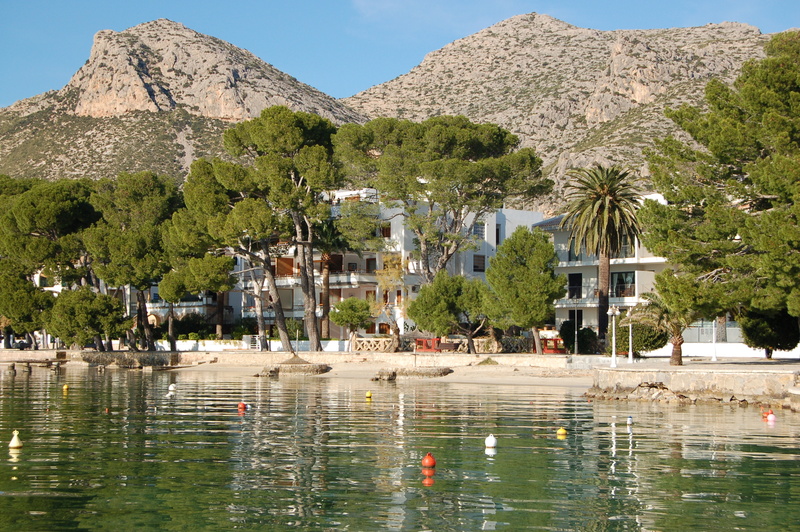 The 28-room hotel faces the Bay of Pollensa, and is within flip-flopping distance of the beach and Restaurante Stay too. 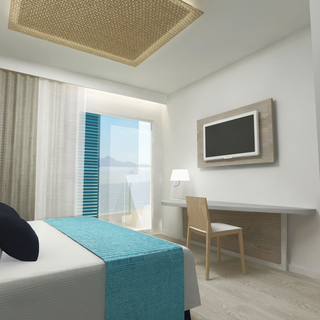 The well-equipped and individually decorated guest rooms will all have sea views (although some will be from the side of the hotel). The east-facing La Goleta Hotel de Mar will be a great place to watch the sunrise – particularly from the rooftop terrace, location of the property’s swimming pool. The great news for this resort is that La Goleta Hotel de Mar has excellent facilities for cyclists, including parking for 25 bikes, a workshop and bike-washing area. But you don’t have to be a pedal-pushing Lycra-wearer to stay there . . . NOTE: LA GOLETA HOTEL DE MAR IN PUERTO POLLENSA CLOSES IN WINTER.